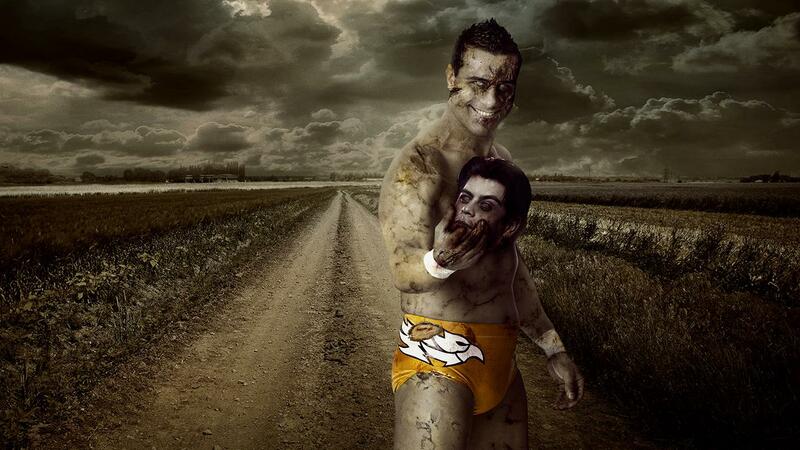 WWE Zombie:The Ring of the Living Dead - Alberto Del Rio. . HD Wallpaper and background images in the WWE club tagged: alberto del rio wwe 2013. This WWE photo might contain sunset, jua, jua kuchomoza magharibi, sunniness, turbine upepo, and upepo turbine.